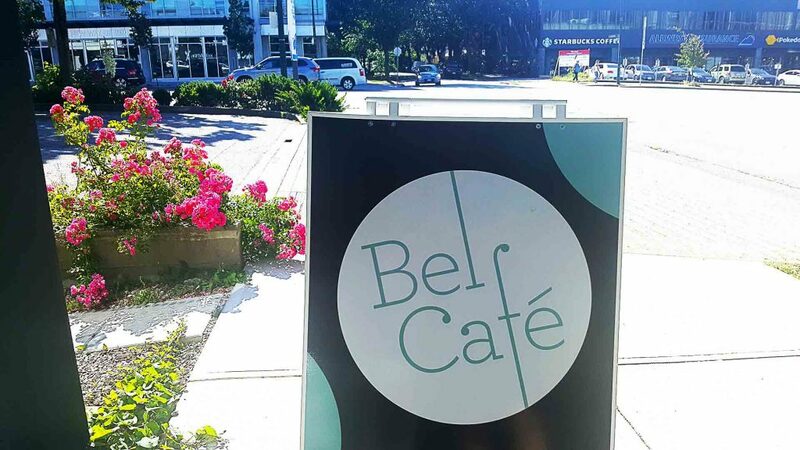 The mastermind behind one of Vancouver’s trendiest restaurants, Hawksworth, is also the creator of the wonderful Bel Café. 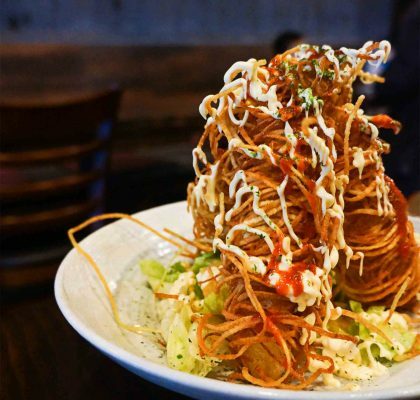 But fans of the Vancouver staple no longer need to venture downtown to enjoy it. 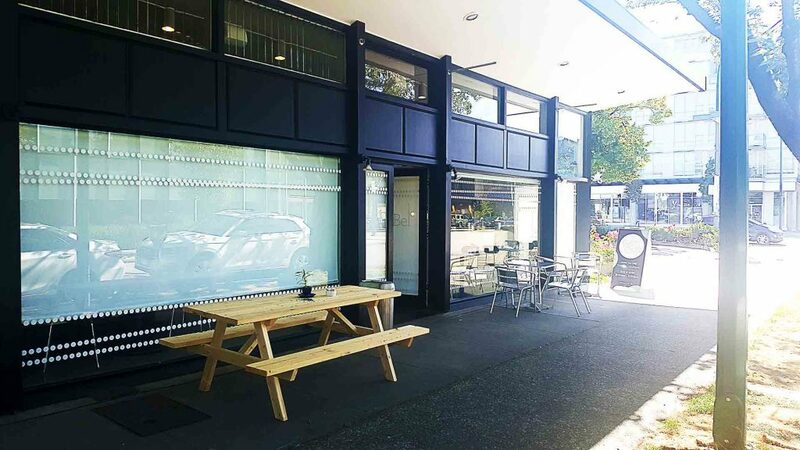 As of June 2018, they’ve opened a second location in Kitsilano. That means all us west-siders can easily fill our stomachs with their delicious homemade treats like their lavender tea latte. 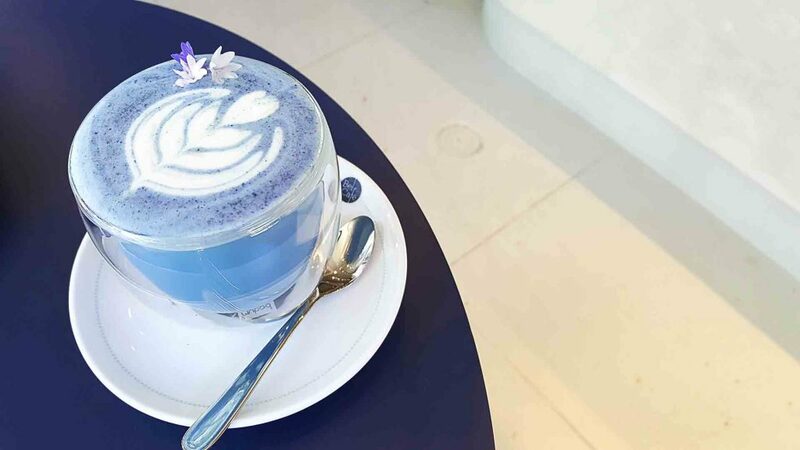 When it comes to beauty, there’s nothing unearthed that compares to Bel Café’s lavender tea latte. Seriously, I dare you to try. This colourful herbal white tea latte is visually striking to say the least. 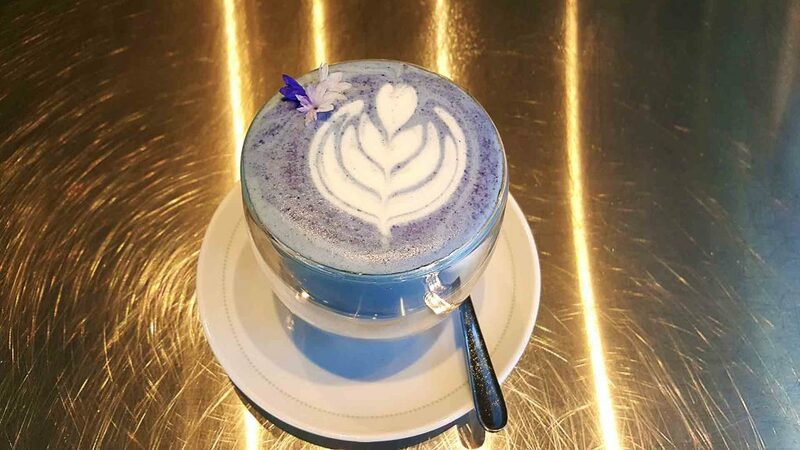 The butterfly pea flower tea gives the drink its dazzling baby blue colour, while a garnish of edible flowers completes the masterpiece. Finally, the latte gets a spritz of lavender oil, making the aroma even more potent. The lavender taste in the crema is somewhat bitter. 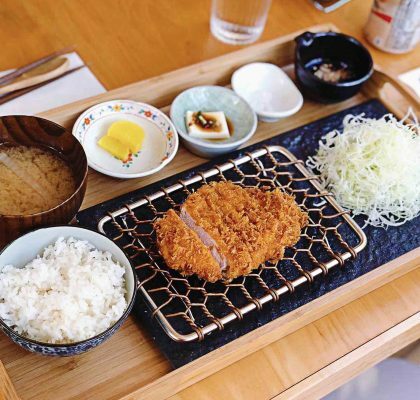 However, the body is sweet and creamy. There’s definitely a healthy sugar content used in the lavender syrup, but it’s by no means overpowering. Sure, it’s somewhat saccharine, but the floral flavours are what dominate. That’s what makes it unlike any other lavender-infused beverage. Here, you get a real taste of nature. It’s also a testament to O5 Tea, which provide Bel with the core of the drink. To top it all off, the grass-fed cow milk pairs with the lavender nicely and creates undertones of nut. 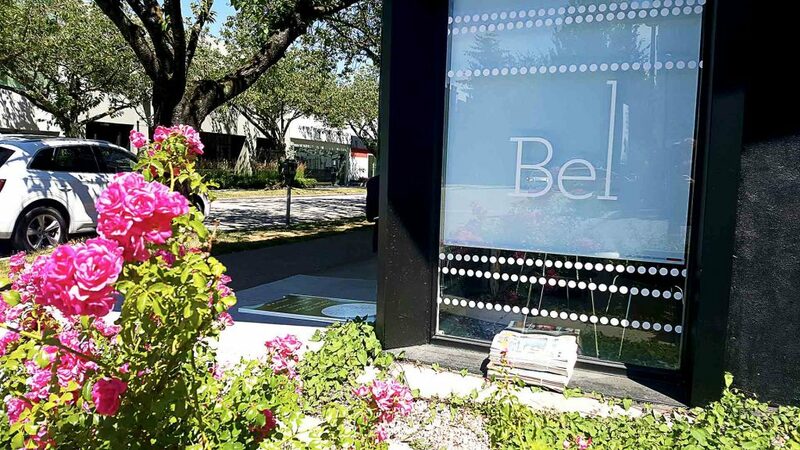 Bel Café also offers 49th Parallel coffees made with an extravagant White Eagle espresso machine. 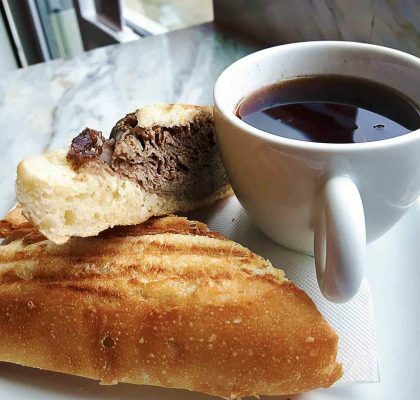 They also make various homemade croissants, cookies, desserts, and sandwiches, all of which come from the kitchens of Chef David Hawksworth. A massive, mostly open kitchen takes up most of Bel’s space. But there’s also a separate coffee bar and a few individual tables. The room is bright, modern, and open, making it a haven for natural light. And if you want a bit of fresh air, there’s also an outdoor area. As for the clientele, well, it’s almost certainly Kits and its yoga-pant-clad residents. 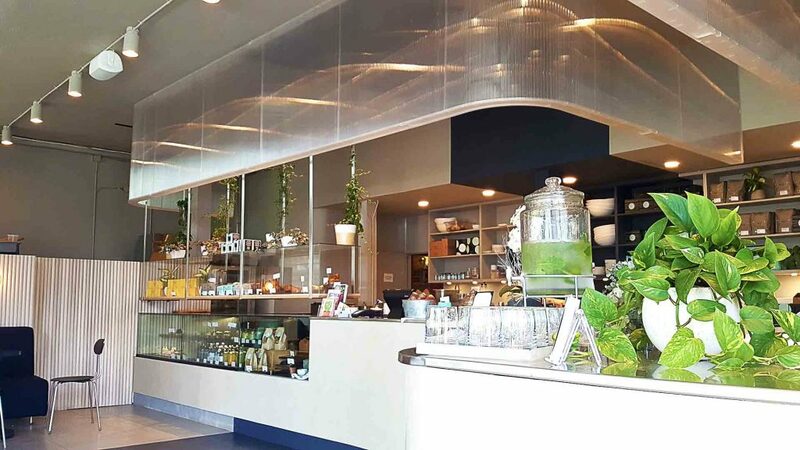 Have no fear though, no matter who you are, you’re bound to enjoy the luxurious treats that wait within Bel Café.